With over 30 years of experience in the industry, A Sani-Can has become the provider of choice for portable restroom facilities and waste management solutions to clients of all sizes and types of industries, specializing in construction, special events, and commercial. Superior quality and a steadfast commitment to customer service have contributed to the reputation we enjoy today! A Sani-Can can affordably and reliably provide you with top-quality portable restroom trailers, portable restrooms, and commercial garbage containers for all your waste management needs. Just one call, does it all! Let us make it easy to plan for your next event by calling us today! From portable toilets for constructions sites to restroom trailers for special events, including handicap accessible portable restrooms and hand washing stations, depend on A Sani-Can. We help you take care of portable sanitation, from choosing the right products to delivery, service, and maintenance. Our product line is extensive, meaning one is sure to include what you need, whether it’s our single unit portable restroom or one of our luxurious restroom trailers. When you’re managing a construction site or planning an event for thousands, you have more than enough to worry about! Let A Sani-Can provide you a worry-free portable sanitation solution, so you can get on with your job. Remember: Just one call, and A-Sani Can will do it all! We’ve helped many clients throughout our service areas, from the Charlotte metro area to the Greensboro Triad and the Triangle area. Catering to large outdoor events is our specialty, and you might have seen our units at Merlefest, the Charlotte Motor Speedway, the Wells Fargo Championship, and the PNC Music Pavillion. As your one-stop shop for convenient and reliable sanitation services, we’re proud to provide restroom facilities and waste management solutions for clients of all sizes and events of all types, including construction sites and corporate events. 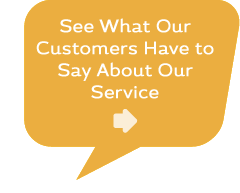 In the past, our clients described us as the most reliable and trustworthy sanitation company they’ve dealt with, and we appreciate the opportunity to prove the same to you! Take a look at our selection of portable restrooms to see which ones best suit your site or event needs. When you’re ready to learn more, use our handy Quote form to request an estimate. To speak directly to our office, give us a call! We’re more than happy to address your questions and concerns.